How do we know which germs to kill, when they look so much alike? Before you hurry on by, here is the bottom line: The viruses that cause the common cold do not cause any real tissue damage. They can only lodge and multiply in congestion that is caused by your body’s panicked reaction to their presence. If congestion is prevented or removed, they will be swept away by natural mucus secretions. What we perceive as an illness–known as the common cold–is caused by unnecessary congestion, sometimes to the extent that secondary infections are allowed to set in. Then damage might really begin. If we can accept this knowledge and learn to block unnecessary histamine reactions, we can stop having colds for as long as we are able to perform routine hygiene tasks when needed. 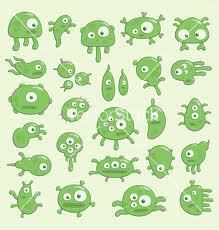 We can stop our obsession with germs. Germs don’t matter. In fact, we need to be more concerned about protecting and hosting the many beneficial microbes that are critical to our survival. I have easily stopped every cold that has tried to catch me since November of 2004. Judging by the number of colds I managed to survive before that date and the number I have fended off since that time, I could actually be one of the world’s leading experts on how to stop the common cold. I am joking, of course, but this is no joke. Please go ahead and smile, however, because better times are on the horizon if you have been a slave to unnecessary misery and you are ready to take a new approach. This entry was posted in wellness and tagged articles, cold, colds, common cold, congestion, germs, health, microbes, science, self-reliance on February 13, 2013 by Carole Ramke.